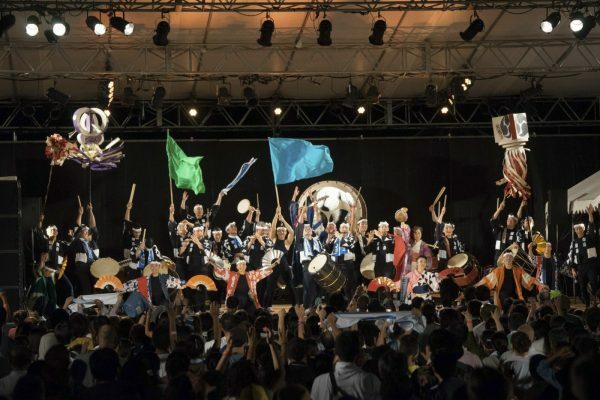 Join Kodo for Earth Celebration This Summer! Earth Celebration (EC) 2018 will center around three daily Harbour Market Live performances, a new-style of concert launched at EC 2017. This year, festival goers can look forward to “Dance Night” on Day 1, “Amami Night” on Day 2, and “Kodo Night” on Day 3. See all three with a 3-Day pass! We can’t wait to present truly unique concert experiences for one and all, with a special touch of EC magic. The 31st EC lineup will also be packed with events held all over Sado Island for everyone to enjoy. Save the dates and we’ll see you in August! See the EC Official Website for details!. ▪Venues: Main festival hub is in Ogi Town. Events will take place all over Sado Island. Aug 18 (Sat), 2018 Tatakokan Presents "Let’s Beat Anything SHOW!"